Community Hubs Secretariat | Eco-Ethonomics Inc. The Community Hubs Secretariat published an Action Plan in 2015 after extensive consultation and research. 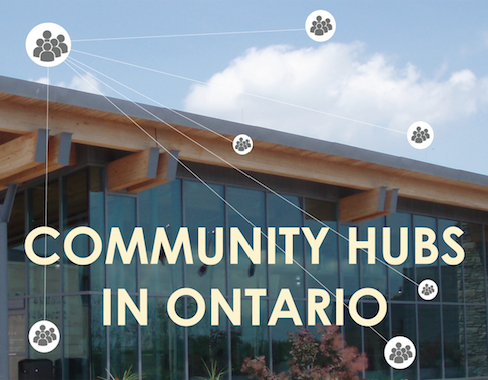 One of the recommendations of that report was to develop a Community Hubs Resource Network for Ontario. The Resource Network was loosely intended to perform a few key functions to support the development of Community Hubs across the province. Eco-Ethonomics Inc. was hired in January 2017 by the Cabinet Office to perform a Strategy and Scoping Process for Developing the Community Hubs Resource Network. This work includes conducting a comprehensive stakeholder engagement process that includes a comparative analysis of other platforms and resource networks to gather best practices, as well as, an extensive consultation with community hub experts and practitioners to understand their needs better. Other elements of this work include developing a governance model, engaging a large provincial reference group in co-design sessions, developing a brand for the Community Hubs Resource Network, and developing strategic partnerships for implementing the Resource Network.